Lotta Helleberg is a Swedish-born artist based in Charlottesville, Virginia. 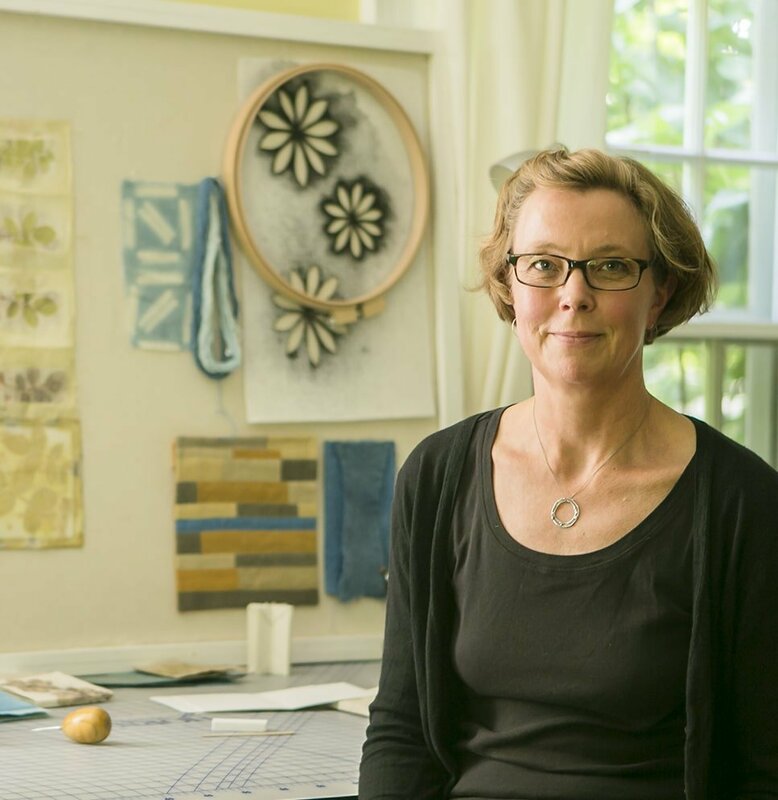 For more than a decade, she has experimented with textile printmaking, and most recently focused on eco-printing, relief processes, and local plant-based dyes to render works that both document and celebrate her immediate surroundings. Her unconventional wall and book works have been featured in dozens of solo and group exhibitions across the Mid-Atlantic region, as well as in Oregon, New York, and Canada.